Preparing to relocate a school can be a very challenging time. Especially if it involves multiple classrooms and a limited window of time to complete the move. At Professional Movers.com we have provided School System Relocations for over 30 years and have built a solid reputation for honest and dependable service. We understand the complexities of a School System Relocation. We realize that every school move is unique, and its success is critical to you, your staff, students, and your district. Our Certified Moving Consultants will work with you to develop a customized move plan that has your district’s needs in mind. We will complete the job within your desired timetable and keep your relocation experience stress-free and within budget. You can rest assured knowing that your move is in the hands of experienced professional moving consultants who have worked in the moving industry on similar school projects before. In fact, all Professional Movers.com Certified Moving Consultants have worked on school projects at different capacities within our organization. This means that our consultants were once movers and supervisors before attaining the title of Certified Moving Consultant. This provides them a hands-on insider’s perspective in determining how many movers, what type of equipment, and how long a job will take. In addition, all of our Certified Moving Consultants are trained to think of the cost-saving opportunities regarding the scope of your move. They will walk through your school to help identify a complete list of items that you would like moved. They will even help assist in determining how many crates or boxes we would recommend for packing. Finally, prior to your move date you can expect the Certified Moving Consultant to provide your staff with a live demonstration of how to pack and label the staff’s contents for the move. Your Certified Moving Consultant will be available during each phase of your move. You can even expect an on-site visitation during the full course of your move. This will ensure that everything that was promised in the proposal will be delivered on move day. Prior to beginning the actual school relocation, all move team members will attend a pre-work meeting with the Certified Moving Consultant. The Project Moving Supervisor and the Move Team will be briefed on the scope of the job. Each mover will have assigned tasks that they will be responsible to complete during the relocation project. This will ensure that the movers follow the developed move plan and complete the job within the determined timetable. On each moving day, your Certified Moving Consultant, Project Moving Supervisor, and Move Team will arrive on-time and check-in with your designated school representative. They will review the daily move plan with the school representative and begin work. If your school representative asks for changes in the daily move plan, the move team will work to make adjustments and accommodate any changes. Your school contents will be relocated by our supervised moving team. We employ only the best, well-trained, skilled, courteous and professional people. So you can expect to receive dependable, friendly, intelligent, and qualified movers who have worked on other school relocations. They will arrive in uniform and prepared to work within a school environment. This means they will be easily identifiable to your staff and/or students. All movers will be in our standard work uniform which includes blue pants, work boots, logo-ed shirts and if necessary, hard hats. They will be non-smokers and abide by all policies set forth by the school district regarding worker policy. At the end of each day, our on-site Working Supervisor will check-in with the school representative to let them know the work for that day is complete. They will also check to see if the school representative has anything else they would like moved or repositioned. Upon completion of the entire move a Post Move Survey will be provided to the school representative to grade our job performance. At Professional Movers.com we have successfully demonstrated an ability to provide Michigan School Districts with successful relocation services that are completed within the predetermined timetable and budget. School relocations require movers who are experienced in complex moves that may include school records, labs, specialized educational equipment, and office furniture. At Professional Movers.com we are not just a moving company — we are a customer service company that moves. In fact, 2008 was a big year for us, not only did we celebrate 30 years of being in business; Andrew Androff, our Director of Sales, was locally recognized in CORP! Magazine’s June Issue for being a Customer Service Hero. As customers, we all like it when we are professionally cared for and the promises that are made during an estimate or prior to a move are delivered. Yet outstanding customer service, even “adequate” customer service can still be elusive. At Professional Movers.com our movers make it their mission to serve our customers in “heroic” proportion. We realize that every move is unique and its success is critical to you, your employees, your students and your school district. That is why following each move, Professional Movers.com has metrics in place to survey customers experiences and make sure that our service and standards are everything we promise. Perhaps this is why Professional Movers.com was chosen to be featured in a customer service book titled, “Who’s Your Gladys? How to Turn Your Most Difficult Customer into Your Biggest Fan”. The book authored by Lori Jo Vest and Marilyn Suttle is in bookstores nationwide. The book’s first chapter features successful strategies that Professional Movers.com has applied to make it a winning customer focused organization. For more information regarding the new book please visit http://whosyourgladys.com/. At Professional Movers.com all of our school consultants have received the nationally accredited Certified Moving Consultant or “CMC” certificate. The “CMC” credential has come to represent a fundamental competency and adherence to ethical conduct of the sales force for the Household Goods Moving & Storage Industry. To receive the “CMC” credential each of our school consultants had to enroll in the “CMC” program and receive rigorous training from the American Moving and Storage Association. The training was followed by a competency exam and an oath to follow the Code of Ethics and Professional Standards set forth by the American Moving and Storage Association. This means that by electing to work with Professional Movers.com you can be assured that you are working with knowledgeable sales consultants who are committed to providing your school district with excellent and fair service. In addition, on February 17th, 2006, Andrew Androff, our Director of Sales was elected onto the Michigan Movers Association Directors Board. At the age of 27, he was the youngest member elected to reside on the board. The Michigan Movers Association is a non-profit association that represents movers and storage service providers located in the State of Michigan. The association’s goal is to foster, develop and promote the highest standards of conduct and service to the public regarding the moving industry. Andrew has just rounded his first term on the board and was recently appointed to a second term. 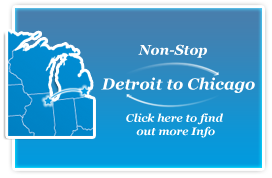 To find out more information about the Michigan Movers Association please visit their website at: http://www.mimovers.org. Finally, on January 1, 2009 through our agent affiliation with Wheaton Worldwide Moving, Professional Movers.com earned its AMSA ProMover certification. The ProMover program promotes ethical principles in the moving and storage industry and works with federal and state governments to mitigate unethical moving practices; it clearly separates professional movers from rogue operators masquerading as legitimate movers. And most importantly, this program aids consumers by providing an identifiable measure of quality while, at the same time, enhancing the moving industry by encouraging and recognizing high professional achievement. To qualify as a ProMover, movers must pass a rigorous review of professional business standards. In addition, each mover must execute a Signatory Agreement affirming that they agree to observe all FMCSA/STB consumer regulations and provide their customers with efficient reliable goods transportation and storage, a professional level of service, and prompt complaint handling or dispute resolution (arbitration). Professional Movers.com will provide your school district with a free assessment of how many boxes or crates your district will need to pack and prepare for your relocation. In addition, Our Certified Moving Consultants will visit your school and provide a detailed demonstration on how to pack and label your items. Upon the completion of your move project, your school district can return any unused boxes and Professional Movers.com will credit back the value of those boxes. Although Professional Movers.com does everything it can to minimize the possibility of any damages, we understand that accidents can sometimes happen. However, at Professional Movers.com our Certified Moving Consultants understand that the most important thing is to make sure that the problem is fixed as quickly as possible. Professional Movers.com guarantees a warranty for all of our moving services. Should an occasion arise Professional Movers.com will repair, replace, or cash out the damaged items. The best part is that we guarantee that it will be done within two weeks of the claim. We are able to make this guarantee because we empower our Certified Moving Consultants to make on-the-job decisions regarding claims to ensure quick settlement. No more waiting for repairs. Professional Movers.com along with Wheaton Worldwide Moving has demonstrated a combined 94 years of financial stability. This is reflective of our investment in our trucks, our moving equipment, our warehouse, and our history of carrying no long term debt. When you entrust valuable items to any moving company it involves a certain level of risk. Items can be lost or damaged during the move that can result in lost time as you wait for repairs or replacement of the items. Working with Professional Movers.com, a company that is proven to be financially strong, reduces the risk to your school district. Not only can your school district feel confident that they will be taken care of if there is a problem, but our history of financially sound organization enables us an opportunity to invest and implement new technological advances that will allow a continuous improvement of our level of service and help to drive a reduction in cost. Specifically, our financial strength has enabled us to invest in specific moving equipment such as — handheld electronic estimation devices, dollies, custom boxes, panel carts, safe movers, lift gate trailers and climate-controlled storage. Wheaton is an ESOP company, which means that all Wheaton associates are owners of the company. All dispatchers, planners, customer service representatives, salespeople, auditors and claims adjustors at Wheaton have a vested interest in the well-being of the company because they are all owners. This is one of the reasons Wheaton is financially stable with no long-term debt. The profits are reinvested into the company to purchase trucks, improve training programs and continually enhance our technology to better serve our customers. All Professional Movers.com employees are pre-screened and undergo a rigorous criminal background investigation before they are hired. In addition, Professional Movers.com is an agent for Wheaton Van Lines. As an agent; Professional Movers.com is responsible to submit all employees through a Wheaton Van Line background check. This is in addition to the Professional Movers.com pre-employment screening. Finally, all Professional Movers.com employees are required to take a physical and pre-employment drug screening before date of hire. Once hired, Professional Movers.com employees are enrolled in the Professional Movers.com safety program which includes monthly random drug screenings. For more than 30 years, Professional Movers.com has focused on social and environmental responsibility. We have always been conscious of how our business affects the community and environment around us. We may not be there yet, but we have made a commitment to making a positive impact on the environment. As moving industry leader and “trend-setter” in the Detroit marketplace, we will continue to pursue innovations that improve performance and preserve the earth for future generations. We are committed to “keeping customers moving” by offering eco-friendly services including the “Rental Crates”, inventory reuse, and best-practice recycling. We will continue to conserve resources through responsible fleet management techniques and efficient onsite operations. We will follow the path to sustainability with our partners, in pursuit of a brighter future for all.